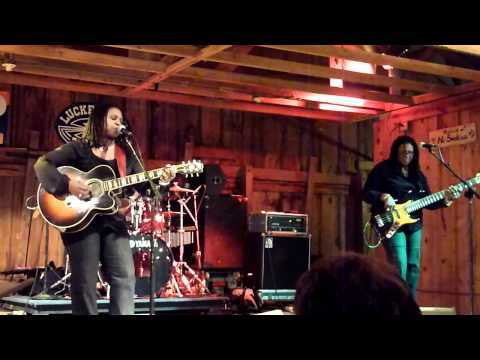 Ruthie Foster had been putting out records for 10 years before most of the blues world even realized it. But there’s nothing like a Grammy nomination and a Blues Music Award for Female Artist of the Year to open some eyes. “I think there’s a lot more folks looking, I’ll put it that way,” says Foster, who performs at the Metro Fountain Blues Festival this Saturday. Foster won the Blues Music Award in 2010, accepting it with a sense of humor and humility that’s typical of her approach. In all seriousness, though, for someone who basically came out of folk music (as evidenced by her first three records), the award meant something bigger than just the impact of her work that year. “It’s a huge nod to just being included in the blues world, and the folks who voted for me,” says Foster. And it didn’t just happen by chance. It all started with her 2007 record The Phenomenal Ruthie Foster, which was designed to change the course of her career, right down to the larger-than-life title. “It was kind of a throwback to the way the music industry used to introduce people to the world,” she says. Her 2009 follow-up was The Truth About Ruthie Foster, which got the Grammy nom, and she’s back this year with Let It Burn. Throughout, she’s continued to develop her unusual sound, which mixes blues and folk with the gospel and soul music of her upbringing. Besides two original songs, the new album is a wild mix of covers, from the Black Keys’ “Everlasting Light” (see below) to Adele’s “Set Fire to the Rain” to an absolutely remarkable, shimmering take on Johnny Cash’s “Ring of Fire.” Guests include gospel legends the Blind Boys of Alabama, the rhythm section of the Funky Meters, New Orleans guitarist Dave Easley and organ cult hero Ike Stubblefield (best known for his work with Marvin Gaye and Curtis Mayfield). RUTHIE FOSTER performs at the Metro Fountain Blues Festival on Saturday, July 14 at St. James Park in San Jose, noon-8pm; $10/$12.